The start of a beautiful event. 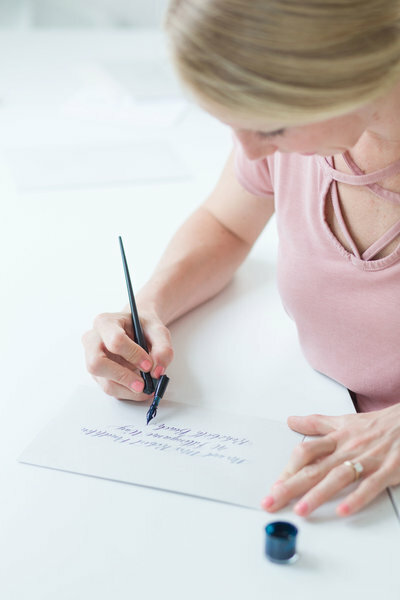 Getting calligraphy for your envelopes greets your special guests with such a personal touch, because who wouldn't love to see their names carefully hand lettered on a soft and luxurious envelope? 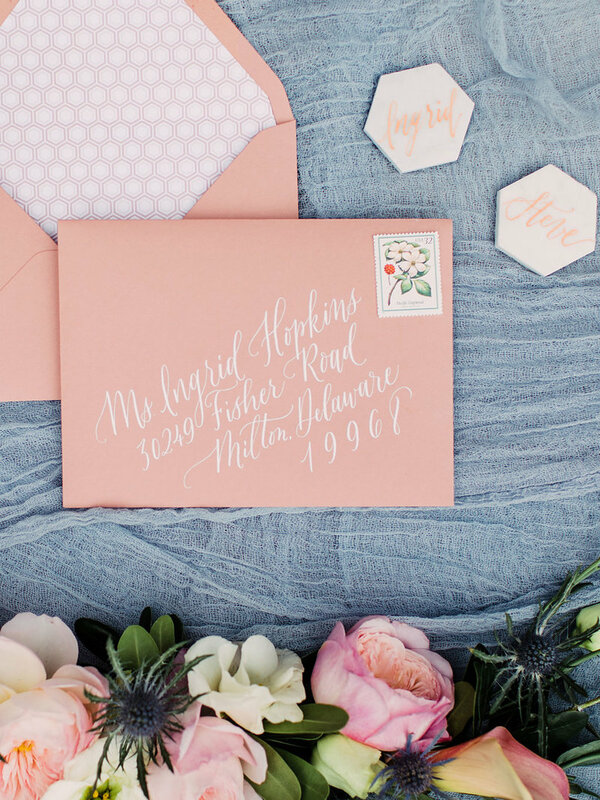 Complete our Envelope Calligraphy Questionnaire so we can create you a proposal! From there, a 50% deposit is due to reserve your space on the calendar. 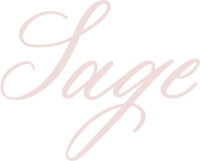 Sign our contract, ship your envelopes & email your guest list to us! 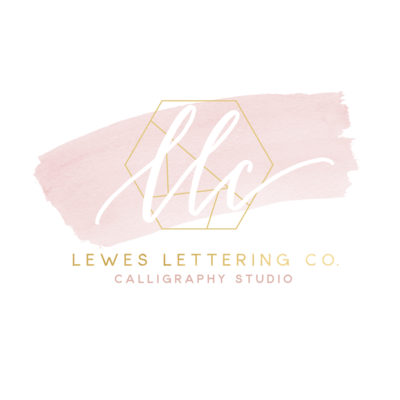 We’ll do a sample envelope to get your final approval on font choice, ink color & layout. Once they are ready to ship, final payment is due. Envelopes will arrive to you ready to be stuffed, stamped & delivered! Our envelopes have a base price of $3.50 per envelope. Black, gold & white ink at no additional charge. 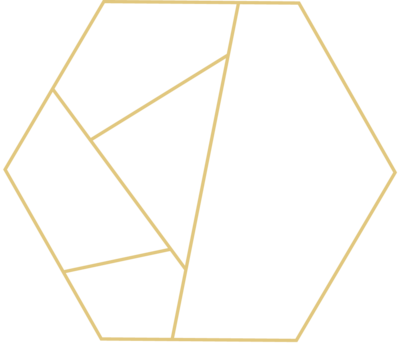 Are you a planner or designer? 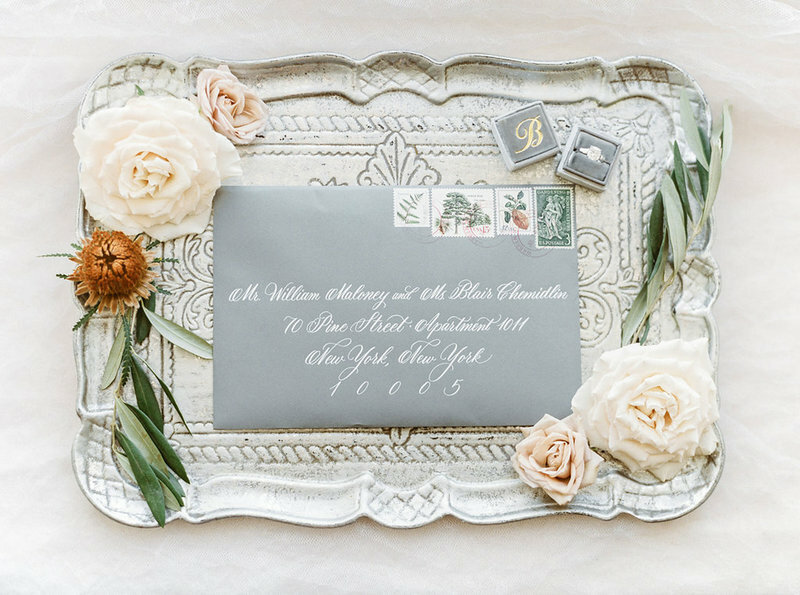 Let us send you samples to share with your brides! 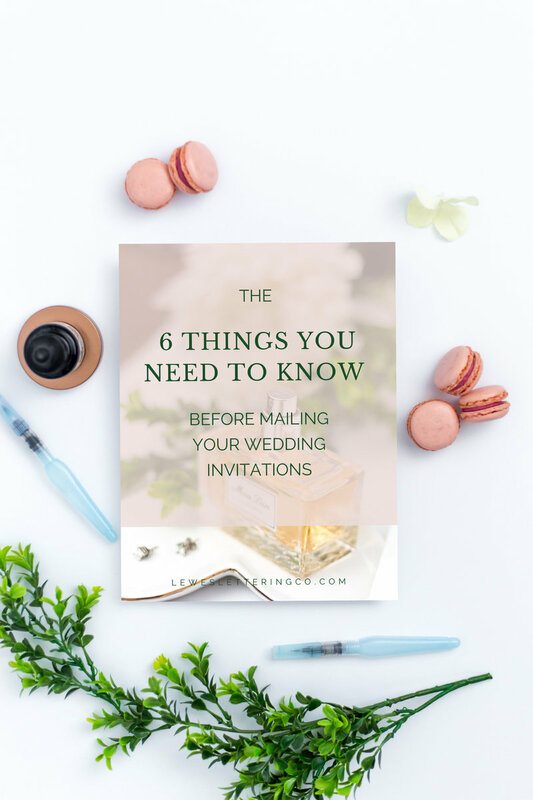 Download our free guide to make your wedding-planning life easier and learn the 6 things you need to know before mailing your wedding invitations. Opt in to receive news and updates. We'll send you the goodies and occasional emails. We respect your privacy and hate spam. You have successfully joined our list. Check your inbox for your guide!